October was a blur. I probably say that each month, but I definitely mean it today. I spent the first part of the month waiting to go to Seattle and then the next 10 days in my favorite city. By the time I got back, I was running a million miles an hour, trying to catch up on all the work I had been avoiding while on vacation. I am grateful for all the learning, jobs, and activities that fill my schedule this year, but I'm still getting used to quite how full it is. I feel like I'm juggling a dozen balls in the air, hoping I don't drop one. I have so many thought racing through my mind, blog posts that I've written in my head as I fall asleep at night, and words that are desperate to get onto the page. I hope next month I'll have more than a few recipes and a summary to show for it. 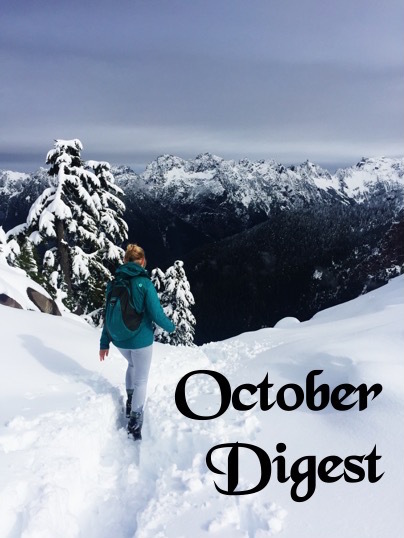 But for today, here's my month of October. This year of Seminary is the real deal. Last year felt like a warm-up and now my reading list is, well, extensive. And honestly, I couldn't be happier about it. This is why I came to Seminary- to learn and to grow. I'm in two theology classes and two scripture classes, as well as an internship. I'm not sure I'm ready to distill everything I'm learning into a short paragraph here, but it's definitely a good season of learning. When I'm not busy reading all those books above (ha!) I've been loving Berné Brown's new book. 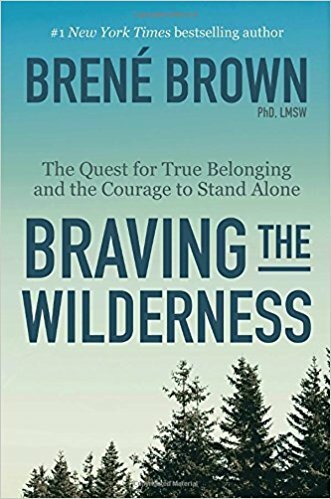 A book about courage with wilderness in the title? I think it was pretty much made for me. I've been learning a lot about courage and vulnerability (which go together for me), and I think I need to write a whole blog about it soon. Needless to say, I highly recommend this book. This might be one of the tastiest snacks I've ever made. It's a bit time consuming, but 100% worth it. If you have a lazy Saturday, there's nothing more soothing than a long but simple baking project. 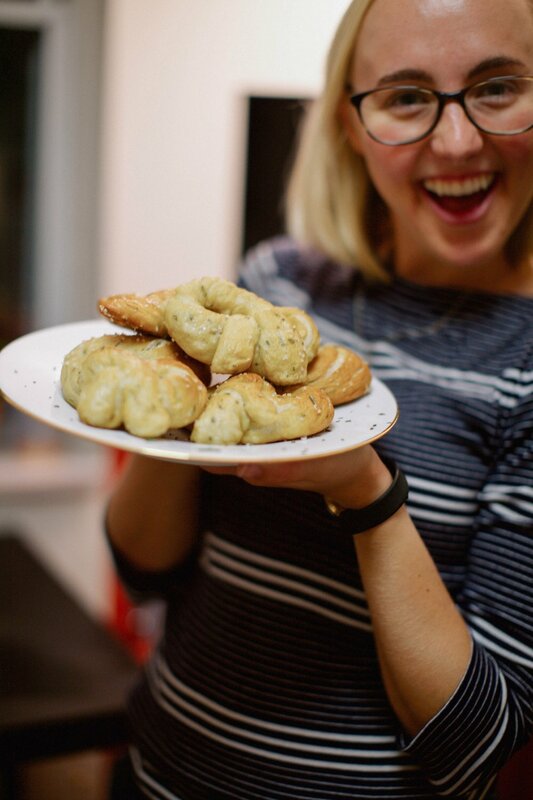 These Rosemary Sea Salt Pretzels are out-of-this-world fantastic! Fall TV is finally back and my schedule is so full that I'm struggling to keep up with all my favorite shows. I haven't even seen any of Jane the Virgin yet this season! However, Stranger Things 2 came out last weekend and I had a marathon viewing all of Friday and Saturday. I loved the first season and season 2 did not disappoint (Character development for Steve! Justice for Barb! Joyce for Mom of the year! A middle school dance!). Is it too soon to rewatch it?! Also on my recommendations list- The Good Place. If you're looking for a smart and charming comedy, this is the one for you. Season 2 is even better than the first (and it's on Netflix now). I was raised in an evangelical church with a relatively conservative Christian family and was deeply steeped in the Christian subculture of the late 90's/early 00's. At Columbia, I sometimes feel like a fish out of water when I reference the culture I come from. This podcast (from one of the Gilmore Guys) brings it all back for me, in the best way. The co-hosts were both raised in evangelical Christian culture, but have since left it. The podcast isn't making fun of Christians, but it isn't proselytizing either. Their episode on Jump 5 basically was my childhood. I'm not 100% sold on the podcast yet, but if the words Jars of Clay, Women of Faith, VeggieTales, or Kirk Cameron mean anything to you, I think you might like it. I have been waiting to share this all month. I am obsessed with this compost bin. It is the compost bin to rule all compost bins. Literally every time I see a different one in someone's kitchen, my first instinct is to tell them about this one. Why is it so great? I'm so glad you asked. It's designed so that air is always able to flow around the bag so that it never gets smelly. It's a miracle. It's so well designed, looks great on a counter (or floor in the case of my tiny kitchen), and comes with 5 free compostable bags. I know I sound like I'm exaggerating, but it really is that great. Seattle! It was so good to be home this month and it felt like a bonus trip since I'll be back in 2 months for Christmas. It was still hot and humid in Georgia when I left, so I was more than happy to trade shorts for corduroys and fall foliage. I went back to go before Presbytery to be examined for Candidacy. They approved me and it was such an affirming experience. I am so lucky to have so many places and people that feel like home to me.